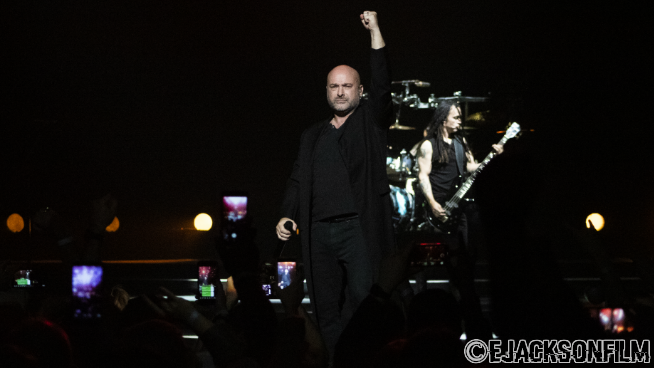 10:59 a.m. - 5:00 p.m.
On Wednesday (January 23rd) night, Disturbed made their way into Kansas City, MO to play a rock show for the people. It was cold outside, but hearts were warmed by the music and words of David Draiman as well as the massive amount of alcohol consumption. 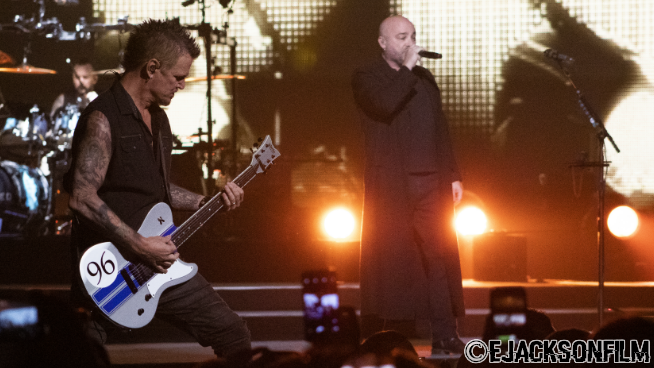 This was my first time ever seeing Disturbed live and I wasn’t sure what to expect. I got more out of that show than I could have ever asked for. 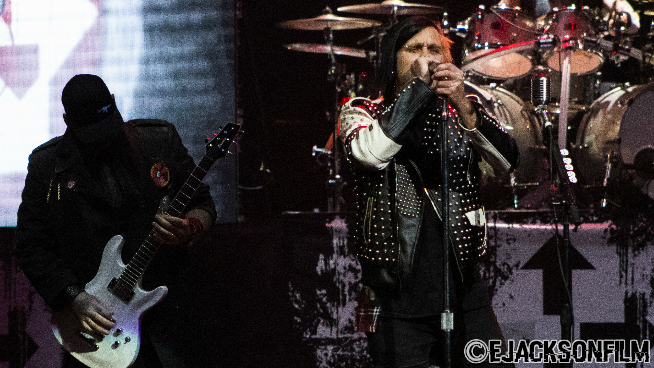 The band kicked off the night by performing the first single they released from their latest album Evolution, “Are You Ready?” If the crowd wasn’t ready before, they sure as hell were after that song. 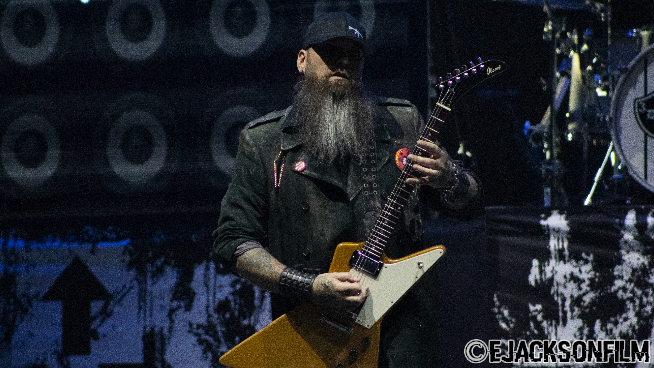 From there the band played songs from all across their library including “Stupify,” “The Sound of Silence,” and “Indestructible.” At one point in the set, the band went to the “B” stage in the middle of the arena to perform a couple of acoustic songs. When they did this, a video popped up on the screen. It was of David, the lead singer, talking about the dangers of addiction and depression and encouraging everyone in the room to reach out to their friends and family members who may be struggling and “drag their asses to rehab.” They also posted the National Addiction and National Suicide Prevention hotlines on the massive screen. David got very emotional while speaking about his friends Chester Bennington, Chris Cornell and so many others we’ve lost to addiction and depression. It was a touching moment. 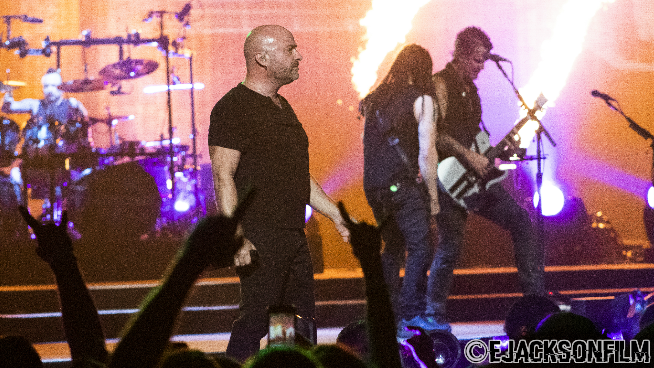 The production value for Disturbed was out of this world. As I mentioned before, they had a massive screen behind the stage that often had song lyrics they wanted to hear the crowd sing or even trippy video of them performing on stage, but what really impressed my was the pyro. I’ve been to a lot of shows and seen a lot of fire, but this pyrotechnic experience was like none other. During “The Sound of Silence” the piano was on fire and then when the band performed “Inside The Fire,” the pyro was taken to another level. There were strips of cloth that were on fire and dropped from the ceiling. It was insane. 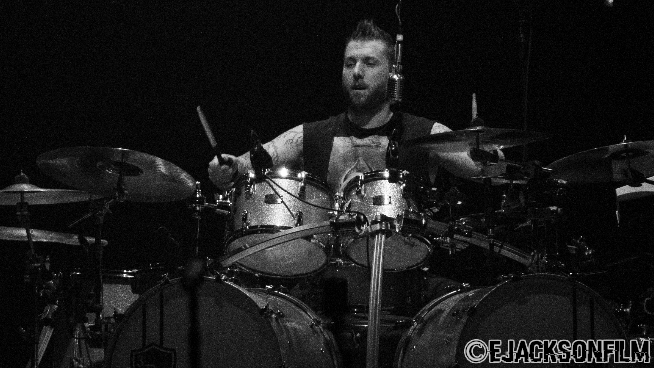 Three Days Grace is the opening act on the tour and they played a killer set as well. 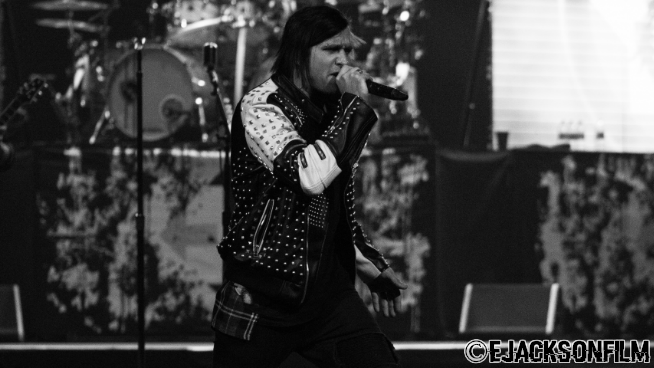 As many of you know, 3DG had a lead singer change just after the release of Transit of Venus and Matt Walst took over at lead vocals. 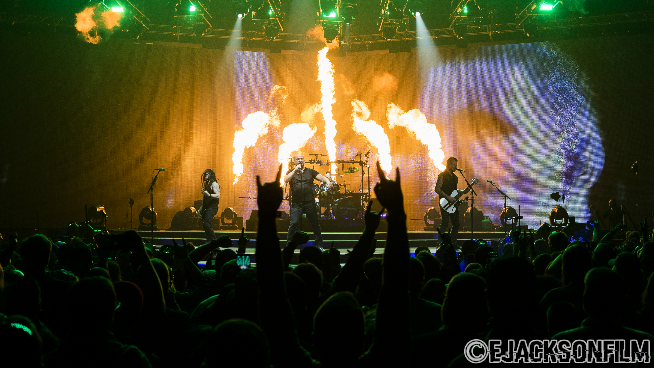 Fans were pretty critical of this transition when it first happened, but clearly that speculation has gone away because the crowd was digging the new tunes as well as fan favorites like “Home,” “The Animal I Have Become,” and, of course, “Riot.” Their stage set up was more minimal than that of Disturbed, but they used two video boards which displayed graphics and the like throughout the show. These guys have a ton of energy and love to party, so if you get a chance to catch them on the road, don’t pass it up. Overall the Evolution Tour was fantastic and I’m really glad they made a stop in NE Kansas. 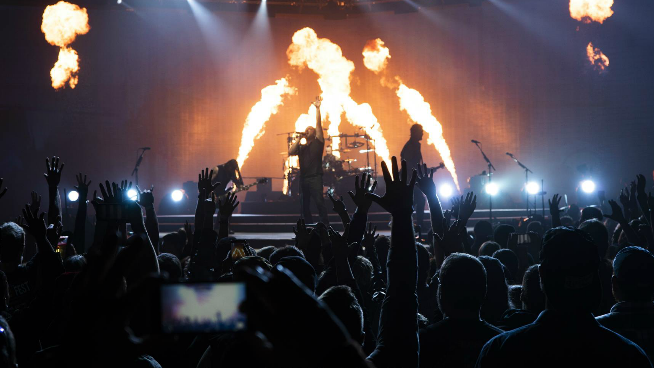 Disturbed is also going to be headlining Rocklahoma in May, so be sure to keep up with us for your chance at winning tickets to the festival!